Do you know the expression “métro, boulot, dodo” (literally “commute, work, sleep”) a succinct way to say the same old routine? Well let me tell you about my life, brilliantly resumed by these simple and singular words. Tomorrow morning I have a meeting with the boss and he can sign my holiday request for next week! I have been waiting for this for such a long time that my suitcase is already packed! A spur of the moment decision to go on holiday with the girls, Alice, Steph and Jess! 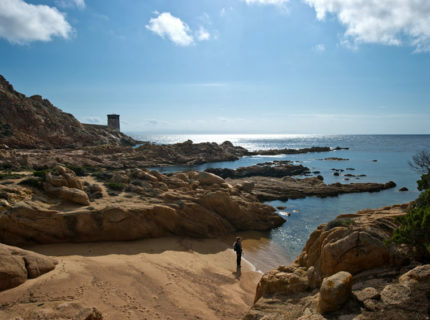 We wanted a sunny destination and therefore we chose Bonifacio in Corsica, which I know a little as I have already been there with my parents. After several turns and straight runs, we have finally arrived in Bonifacio! Great, it’s not far at all! Only 20 minutes by car. No sooner arrived at the chalet: suitcases emptied, folded and put away! Today, although seemingly tiring has, on the contrary, given us a boost! “Girls, tonight is “the” night, we’re going out! A touch of make-up, a brush of powder here and there, a stroke of an eyebrow pencil, a dab of mascara to open the eyes, some pink lipstick and the final touch: a sugary spray of the latest Chanel perfume. Wow, what a group of “femmes fatales”! We have even taken flat shoes as I remember Bonifacio is quite athletic! Jess parks the car in the port parking and our nocturnal adventure can begin. 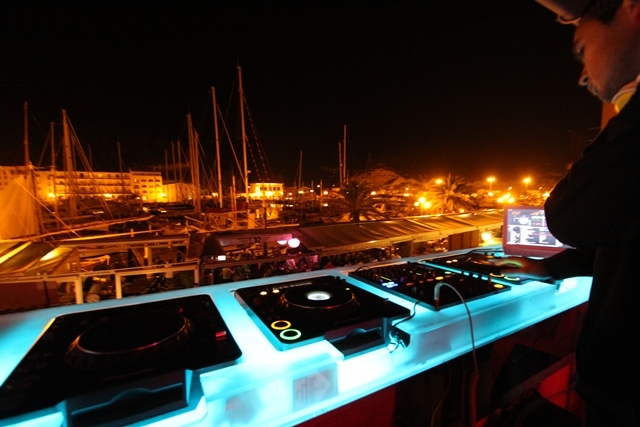 The view is breath taking! 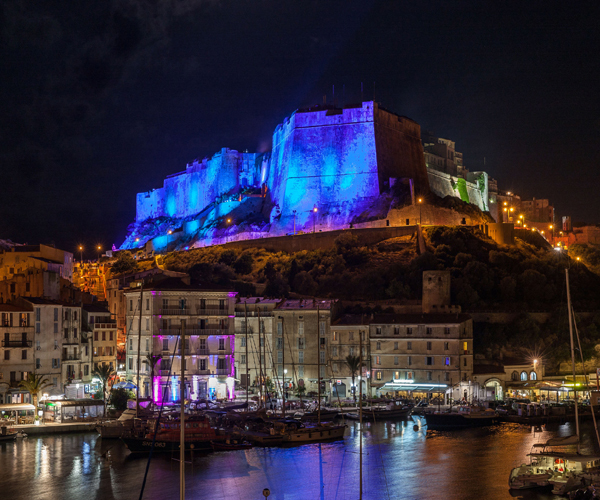 The warmly illuminated citadel proudly dominates the port, not unlike Saint-Tropez, a not-to-be-missed shot for any camera! 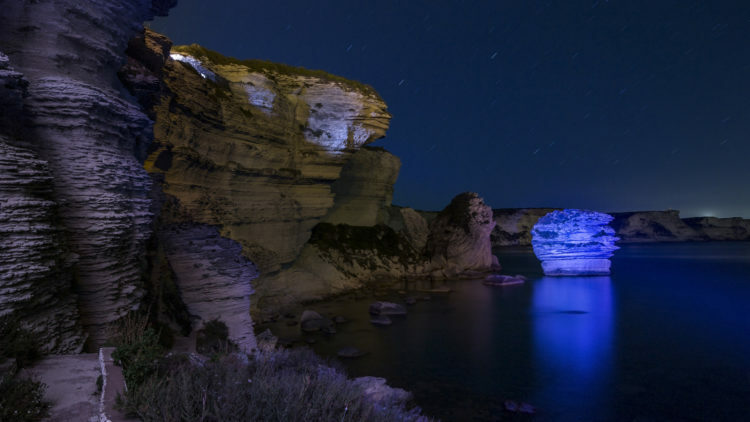 This enchanting vision awakens our curiosity, with an irresistible desire to visit “Bonifacio by night” as Alice likes to say! Walking along the quay is a real ordeal for the gourmet as the fish and grilled meat odours combine to offer an intoxicating aroma. But let’s not overlook the program, first stop the aperitif! We all decide to go up to the medieval town, where the view must be wonderful and the wish to discover what is hidden in this fortress prevails! Attacking the Montée Rastello called “the climb” by the Bonifaciens (wonder why? ); we certainly don’t regret our choice of flat shoes! Off we go, one, two, three, four… a pedestrian crossing and then (a drum roll) THE vision of our dreams appears before our eyes. The deeply cut cliffs and their vertiginous height appear on the horizon illuminated from time to time by the lights of the “Pertusato” lighthouse. The darkness of the night enhances the lights falling onto the whiteness of the cliffs, what a magical moment! 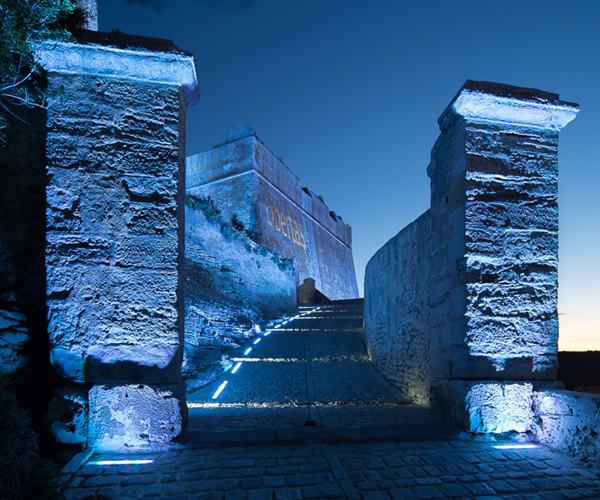 We continue our climb to reach the Fortress of Bonifacio. At the foot of the Fortress, we pass through the Gate of Genoa to finally invade the alleyways, full of history and secrets. Who are these people walking with flaming torches? Strange, but rather original! Oh, I remember now! It is the guided visit of Bonifacio with flaming torches; I saw it mentioned on the big screen this morning at the entrance to the town; something else we can do this week! 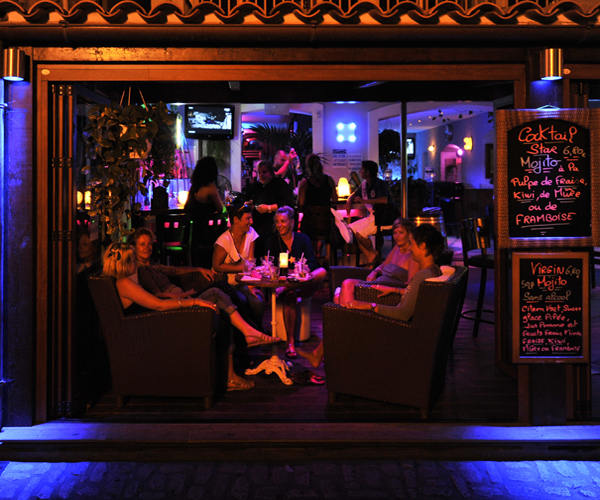 The climb has given us a thirst, and we decide to stop at a bar with a terrace and a panoramic view over the cliffs. 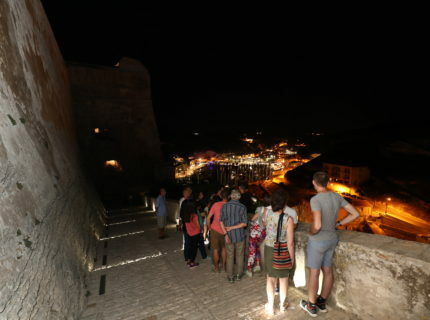 After a short refreshing stop, we continue our “Bonifacio by night” visit. We meander through the occasionally animated, occasionally intimate alleyways with the same feeling of wonderment at each street corner. 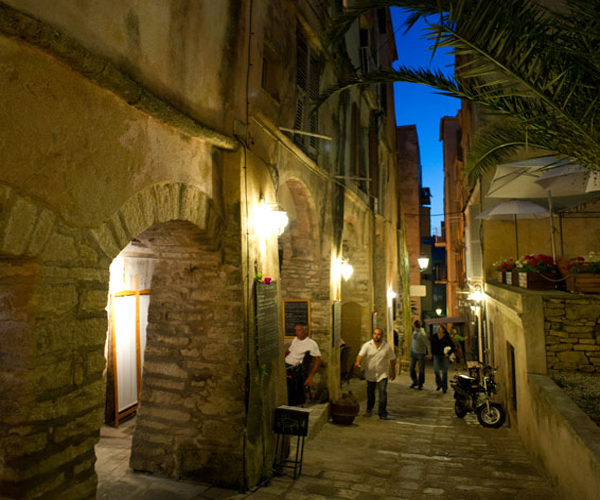 Why not return down to the port, there were lots of small and charming restaurants! And without a second thought, we are on the dance floor of the B’52 perfecting our somewhat rusty dance moves since the winter. Jess, Alice and Steph are having a whale of a time! Alice, usually rather timid, is letting herself go to the rhythm of the music, awakening the looks and hearts of some good-looking young men! 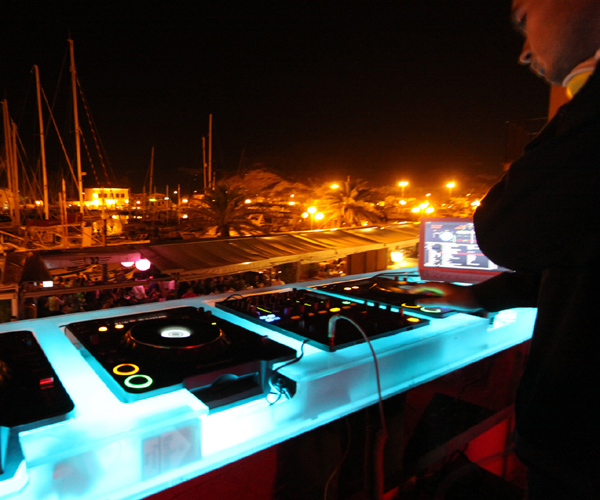 We are up for another “Bonifacio by night” evening with the greatest of pleasure!